Paint with water-based paints only. Brush one coat or spray two coats. 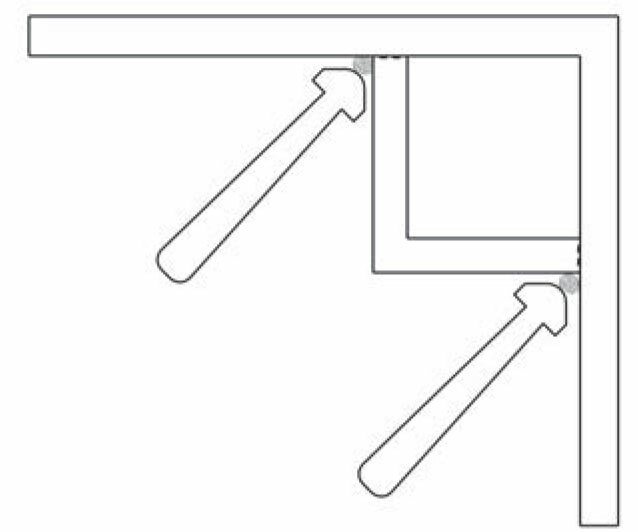 Cut 3-1/2", 4-1/2" and 5-1/2" crown moldings in most 1/2" miter saws in this position. 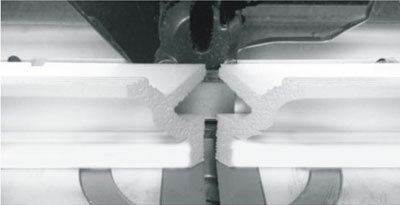 Cut 3-1/2", crown moldings in most 10" and 12" miter saws in both saw positions. 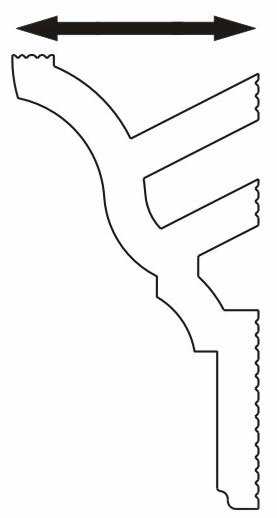 Just apply a bead of Power Grab about the size of a pencil horizontally across locations for the different installation types. press it to the wall and wipe off any caulk on the seams. 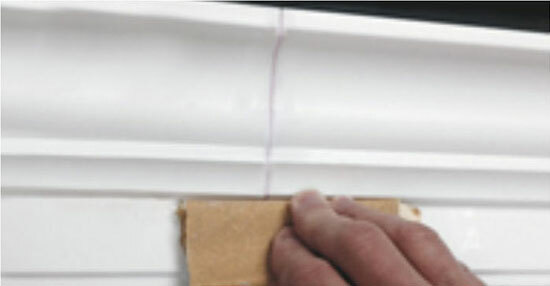 Apply sandable spackle to the joint of the crown moldings that matches together. You can even apply the spackle to the ends of the moldings as they go together. 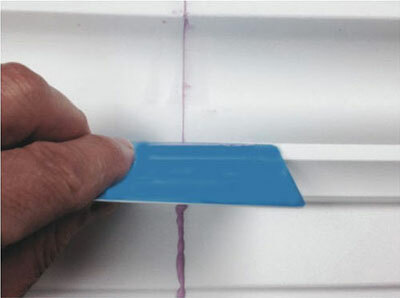 Wipe or smooth off the joint with a caulking tool or a plastic card. Next, let the spackle dry well and then sand off the spackle with a 150-200 grit sandpaper. Now you can touch up the joint with paint for a finished look. TIP: Never use Power Grab in vertical joints between corners. Always use spackle. 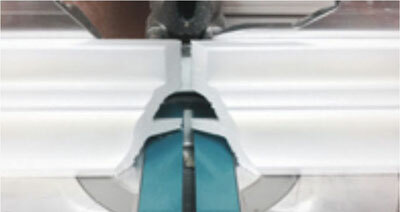 Use Power Grab for installing the crown molding along the vertical seams. 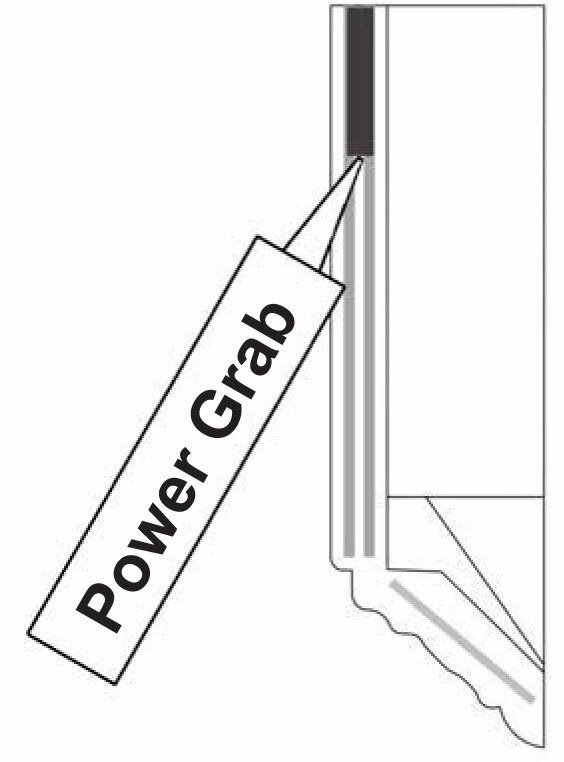 Use Power Grab for your inside and outside corners. 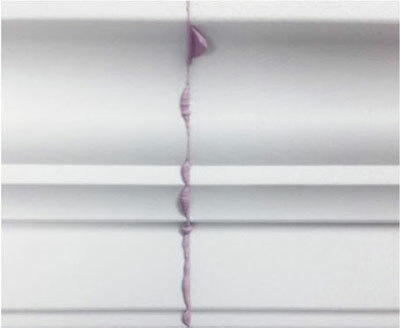 Apply caulk on the cut ends of the molding before aligning them up for a better bond. 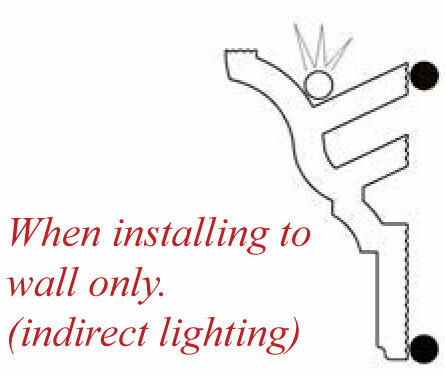 Measure the projection of your crown molding. Then choose the block with the measurement just over the crown molding projection. 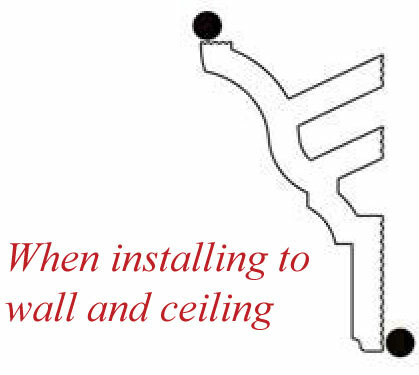 For vaulted ceilings measure the angle of the ceiling with an angle finder. Next mark it on the block and cut it with a saw. For flat ceilings measure to the top of the crown molding and saw. Apply a good bead of power grab in the grooves on both sides of the block. Next, align the block up into the corner position and press inn firmly. Wipe off any excess caulk off with a caulking tool or finger.